The 2018 Aloha Classic took place in Maui between the 28th October to the 10th November and as well as acting as a Qualifier for the Men’s contest, the Aloha Classic also hosted the final stage of the PWA Youth Wave World Tour, so with the season now officially over the PWA Youth Wave World Titles have now also been decided. In the U20 Boy’s Miguel Chapuis (JP / NeilPryde) takes top honours after winning one event in Pozo, while backing it up with a 2nd in Almerimar and a 5th in Tenerife. Meanwhile, the podium is completed by Takara Ishii (RRD / RRD Sails) and Jake Schettewi (JP / Hot Sails Maui), who won the U20s Aloha Classic. In the Girl’s Tessa van der Meer takes first place ahead of Nikki van der Meer and Regina Villegas. In the U17 Boy’s Takuma Sugi (Tabou / GA Sails) and Marino Gil (Goya Windsurfing) finished the season tied on 29,800 points, but having won in both Tenerife and Maui it is Sugi who claims the U17 world title, while Jose Casanova Perez (Fanatic / Duotone) completes the podium on 29,350 points. In the Girl’s 15-year-old Mar de Arce (Loftsails) walks away as the champion having won the opening event the year in Almerimar before recording two second places. Alexia Kiefer Quintana (Fanatic / Duotone) and Julia Pasquale (Fanatic / Duotone) both recorded a victory and a second place, but with both only able to attend two events they have to settle for 2nd and 3rd place. 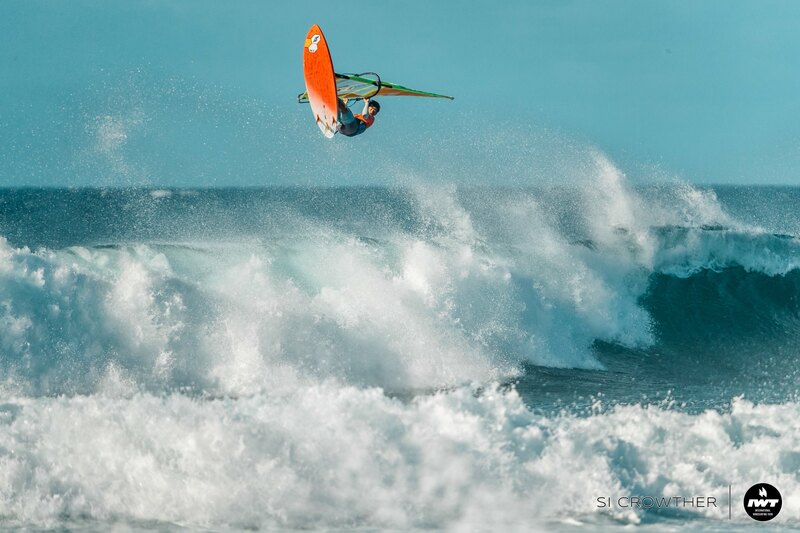 14-year-old Lennart Neubauer (Starboard / Severne / Maui Ultra Fins) follows up success in the U15s Freestyle by also taking the top prize in the U15s Wave discipline. 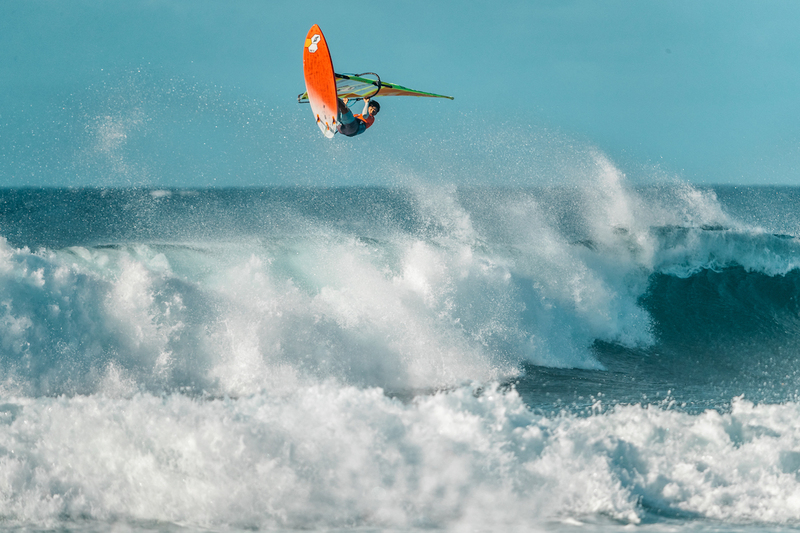 The young German won both the events he attended in Almerimar and Pozo to win ahead of Nicolo Spanu, who won in Maui, and Miguel Casanova. Maria Morales (Goya Windsurfing) sailed consistently throughout the season and with 3 second places she wins the Girl’s U15s ahead of Alexa Kiefer Quintana, who won both of the events in emphatic fashion, but with no 3rd result to count she misses out this time around. The podium is completed by Elena Cantón. Denmark’s Tobias Andersen (Fanatic / Duotone) is the undisputed champion in the U13s after winning all 3 events he attended in Almerimar, Pozo and Tenerife. Carlos Kiefer Quintana (Fanatic / Duotone) finishes second ahead Miguel Mirón. Congrats to the Youth’s for showing such a high level over the course of the season and of course for their respective victories.